Greetings Dies R Us fans, followers and visitors. I'm keeping with the male theme that Robin set yesterday (and it's also the topic of our current challenge which is running through till June 13). I'm having a bit of fun with this one and am keeping it very simple and embellishing only with some cute tools which are super handy for adding to male orientated cards. This grumpy old guy is named Gus (and I just love that cos my darling husband is also Gus too!) and this sentiment which come with the stamp is my kind of humor. This stamp is from Bugaboo and aptly titled 'Gus WTF'. I coloured him using my trusty Copics. I started off with a square card and used one of the Spellbinders Circles Small to trace around on the top left corner and hand cut it out. I trimmed all other sections with a corner trimmer then layered them on black cardstock. 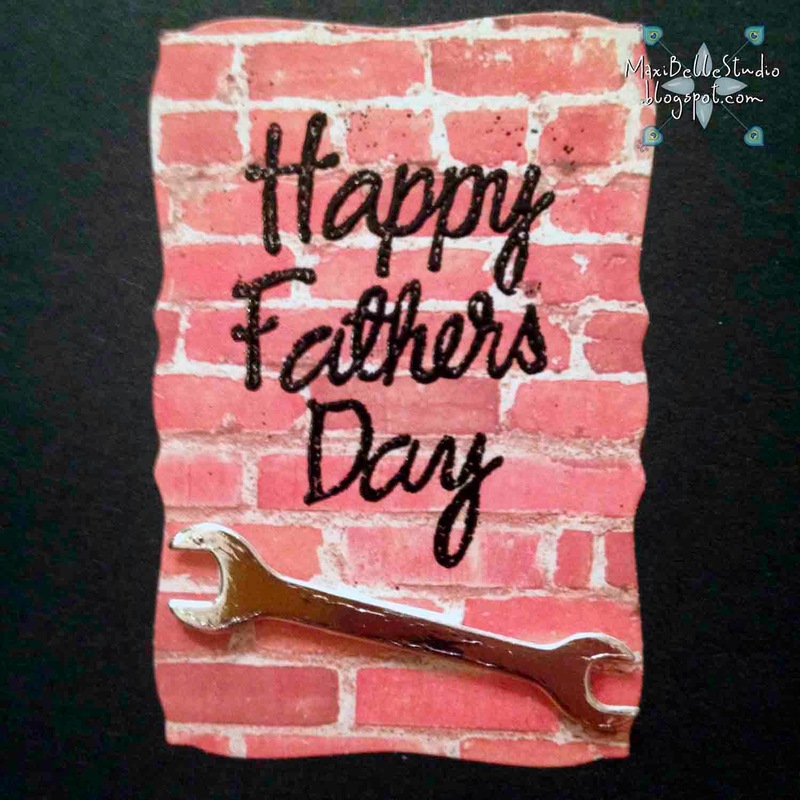 On the inside of the card I've used a simple Happy Fathers Day stamp and embossed it then cut it out with Spellbinders Curved Rectangle and attached a single Die-Versions Sweet Petite Sprocket. Thanks for stopping by and having a gander at my card. I hope that you all get some time over the weekend to have a play in your studios! Until next week, keep crafting! Oh, Alicia, this is just a hoot! I LOVE silly cards like this & I think everyone else does too. You have colored it up so perfectly & I love all the added "tools" as part of your design. Great job! LOL ... GREAT job Alicia! 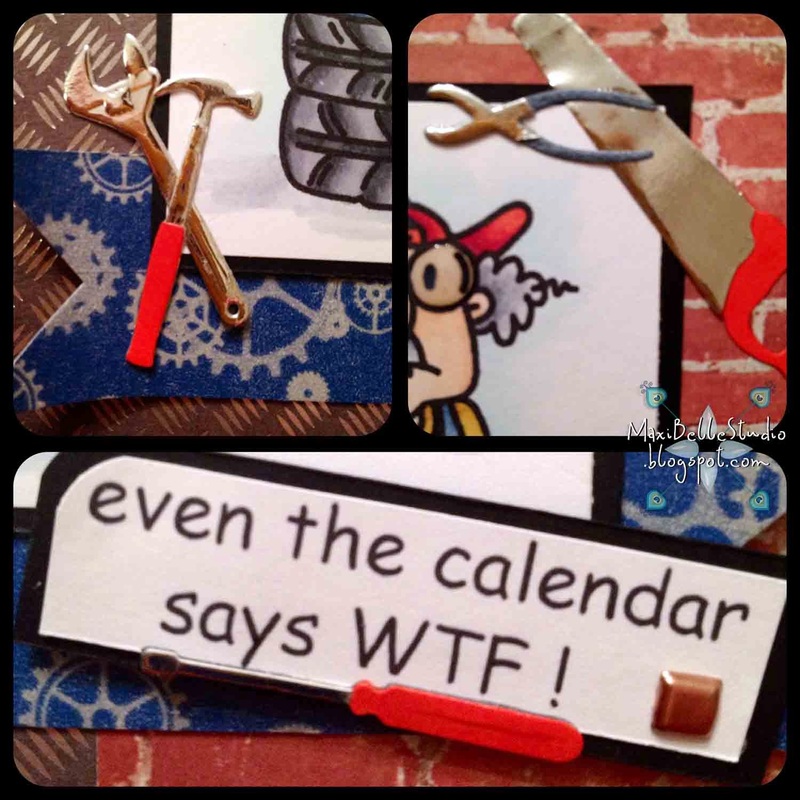 Love the colored handled tools and the overall theme is too funny! YOUR Gus is going to love it! Still laughing! Great card!!! Love your Man Tools!